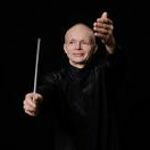 At the end of the season, the audience can expect concerts with two great and very different programs from the Musikkollegium Winterthur, under its chief conductor Thomas Zehetmair. First up, Haydn’s Creation on June 20th & 21st in cooperation with the Zurich Boys’ Choir. Zehetmair interprets this magnificent work with its almost pictorial expressiveness and sonorous, musical depth. On July 8th, Thomas Zehetmair will then be performing with the orchestra in the Classic Open Air with a completely different kind of program. Alongside works by Tchaikovsky and Bazzini, Mussorgsky’s Pictures at an Exhibition will be heard. In a relaxed, summery atmosphere in the idyllic Winterthur Rychenberg Park, Zehetmair delivers classics of the finest quality, with demand and pleasure alike.